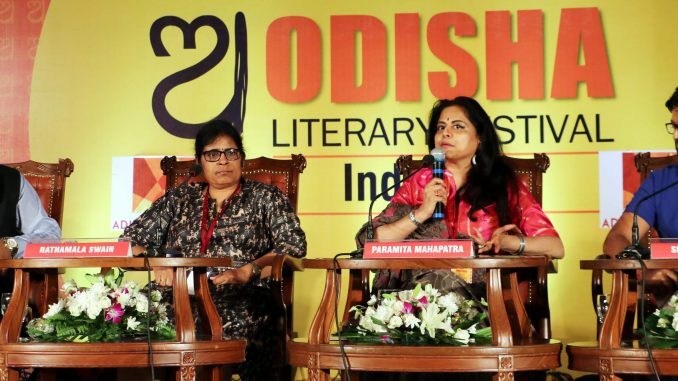 BHUBANESWAR: A restructured educational system emulsified with vocational and skill development training is need of the hour to make youths employable and put the State on the path of progress, observed three prominent entrepreneurs at Odisha Literary Festival 2017 here on Sunday.Speaking on ‘What lies ahead for the young Odia’, the founder of India’s first VC-funded food and beverage start-up Milk Mantra, Srikumar Misra, said the current education system has failed to develop employability in the State. As per the statistics, he said, only nine per cent of the engineering graduates are employable and it is even more negligible among MBA degree holders. Since the skill set is very different for the present job market, vocational education is important and the curriculum needs to be revamped, he maintained. Misra, who quit Tata Administrative Service in London to start his venture, opined that be it civil service or a job of motor mechanic, every job is respectable. But unfortunately, people who are in vocational job are looked down upon these days. “We have to build that pride in them. A useful mechanic is better than a useless engineer,” he quipped. On the protests that upcoming industries are facing in the State, he said environmental protests without any rational thought can be dangerous. “We are over-regulated but under-enforced. Mineral wealth sometimes can be curse for a State and we have to be mindful on how to leverage the resources. With single minded persuasion and revolving plan, Odisha will move forward,” he hoped.Managing director of UMSL Limited Paramita Mahapatra underlined that availability of fund only cannot make a venture successful. Persuasion, ability to handle, hard work and determination are necessary to achieve success. Since agriculture and traditional craftsmanship cannot absorb more people, she said, industrialisation is the only alternative for economic growth of the State for which Government needs to facilitate opportunities to entrepreneurs and wealth creators.“As an entrepreneur, you need to build your own goodwill even if you come from reputed background. If youths do not make themselves capable, what can they do? Aspirations, dreams and desires are good but to achieve those, they have to be skilled. After all, talent cannot be socked down by anybody,” she observed. Architect and real estate developer Ratnamala Swain was, however, very vocal when she spoke on the diminishing voice of Odias who were once known for their overseas maritime trade. “Compared to our rich maritime history, the economic growth is not that much encouraging. Why Odia youth have become lazy is something that needs to be debated. We the people are responsible for the backwardness. Odia people have lost their identity and youth lack the voice,” she said. Describing how she struggled to reach at this position, Swain said not a single business is easy. If you want to achieve success, you have to swim against the tide. The youth need to be nurtured and skilled properly, she added. The session was moderated by Kendra Sahitya Academy awardee writer and columnist Gourahari Das. He said it is unfortunate that the success stories of the past became a boundary for the present generation and could not turn out to be a ladder. “Many still wonder why could not we take forward the legacy,” he said. The political class in the State has failed to develop the skill of Odia youth which might have made them employable, self-reliant and successful, he said and pointed out that the Centre too has neglected the State in the past as it got the opportunity to have institutions like AIIMS, IIT and NISER only after 2000. “Odisha is extremely rich in culture and heritage but is poor in many aspects. it seems that not evolution, but another revolution is required to make the State a developed one,” Das summed up.